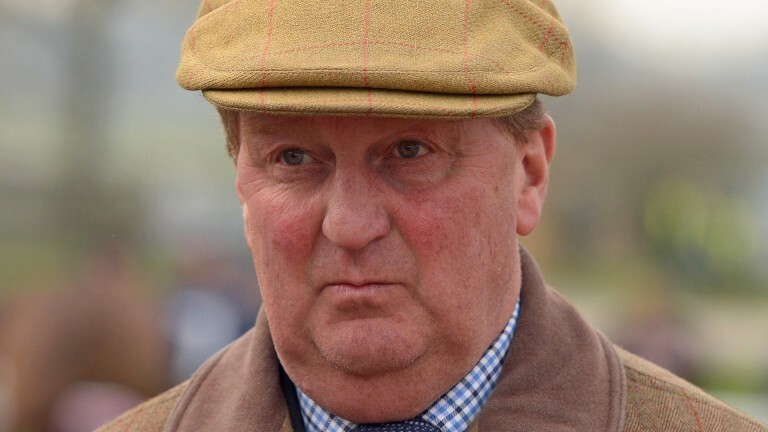 Robin Dickin, who has described Oneida Tribe's demotion from a dead-heat at Bangor on Thursday as heartbreaking, will lodge an appeal against the decision of the stewards. Speaking a day on from the dramatic running of the 2m4½f novice handicap chase at the north Wales track, Dickin remained adamant no interference had taken place between Oneida Tribe and Pinch Of Ginger, who was awarded the race outright by the stewards. In an interesting twist that served to increase the trainer's exasperation, Pinch Of Ginger's jockey Brian Hughes raised doubts about interference taking place and labelled the decision as harsh. "I've spoken to owner John Nicholls and we're going to appeal," said Dickin. "I've never appealed against anything before but in this case I feel it's justified because there was categorically no interference and it should have been left as a dead-heat. "Fair play to Brian Hughes for saying he feels it isn't right. For our jockey [Adrian Heskin] to be cautioned for careless riding is way over the top because he's done nothing wrong." The stewards found interference had taken place on the run to the line and concluded Oneida Tribe's placing had been improved as his rival was carried off his intended line and had to switch, before rallying to dead-heat. Dickin said: "He's the biggest horse I've trained, he's nearly 18 hands, and he had a bit of time off with leg trouble. All the months of hard work to get there and then think you've done it, only to lose it when you've done nothing wrong. It's heartbreaking." 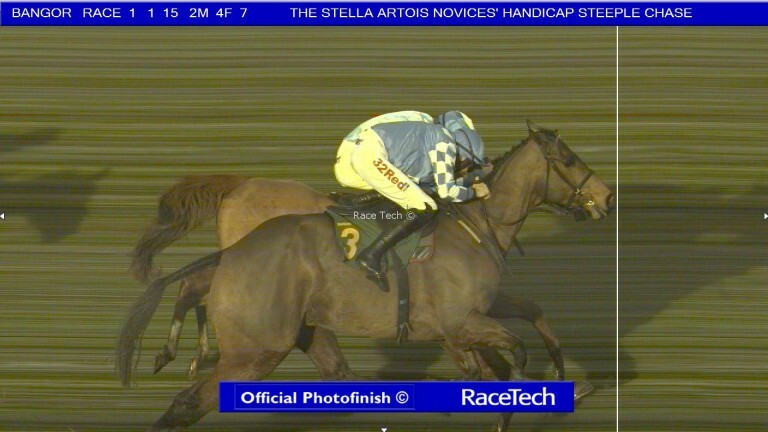 Before the stewards' inquiry was called, there was lengthy delay while the photo-finish was mulled over. Due to the configuration of the course the mirror that provides the reverse image was not in use for the chases – something Dickin thinks is unacceptable. "I have a copy of the photo-finish and would love to see a mirror image as I think we'd have probably won it," he added. "I'm not going to complain about that because it was tight, but in this modern day what is Bangor doing, not doing it properly?" The BHA is aware some tracks do not have the capacity to obtain a reverse-angle view in photo-finishes. Robin Mounsey, the BHA's head of media, said: "Due to the varied nature of British jumps tracks, not all are able to accommodate a mirror. "The width of the track is the usual reason for this – at especially wide tracks it is simply not possible to fit a mirror which would provide a reverse-angle view of the winning line for photo-finish purposes."